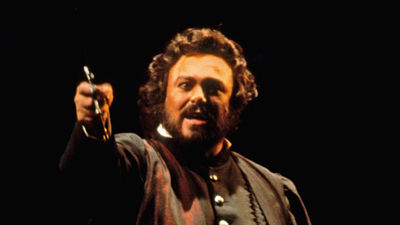 Who better than the great Luciano Pavarotti to play Ernani, Verdi’s Spanish nobleman forced to become an outlaw. His true love is Elvira (Leona Mitchell) who wants only to be with him. But there are other men who desire her. 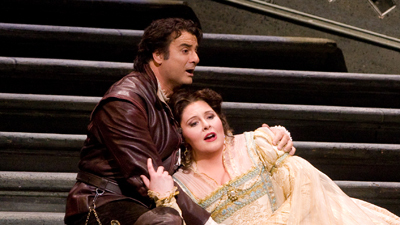 One is Sherrill Milnes, in one of his most memorable roles as Don Carlo, the king who is elected Emperor Charles V. Another is her legal guardian, Don Ruy Gomez de Silva, played by Ruggero Raimondi—who gives her to Ernani, only to then demand his life to satisfy his honor. James Levine conducts.